The 1st Security systems are custom built to protect the most vulnerable areas of your home and prevent break-ins before they ever occur. Instead of depending solely on sensors to alarm monitoring stations when there is a home invasion, 1st security provider additional securing devices to your doors and windows to keep unwanted visitors out. Up-front fees range from $99-199. There is also a credit approval required for the standard monitoring agreement. For those who don’t qualify, 1st Security offers an alternate program which does not require a credit check. 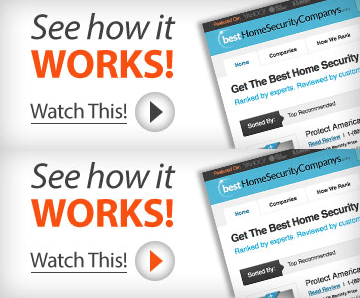 For more information on 1st Security’s home security, business security, or automation services, visit their website. The downside to a 1st Security home automation system is that it costs extra upfront and it doesn’t include many of the features that other home automation systems provide. For example, a majority of packages include video surveillance and monitoring with the basic package, but 1st Security does not. 1st Security provides home automation packages that offer some features that are top of the line, but is lacking in some other areas. In order to determine if a 1st Security automation package is right for you, we suggest discussing your options with a 1st Security representative. Called several times. They do not return calls promptly to fix issues, waited months to get an answer and equipment under warranty mailed out. Terrible customer service. Great company to deal with.Totally customer focused. My wife was not comfortable with me installing our security system myself, so internet based alarm companies were a no go. I contacted our existing company, Vector, Vivant, ADT & 1st Security. I met with all of the reps.
Jeremy from 1st Security came to our home right away to conduct a detailed security assessment. He listened to our needs and our concerns with our existing landline based security system (through Vector), and he designed an effective yet practical and affordable set up for our home. Their prices cannot be beat- trust me I did my homework. Larry came to install the new security system and he was also great to deal with. Knowledgeable and patient- he took his time to explain how the system worked and gave us his cell # in case we had any issues. Kudos to 1st Security USA! Great folks doing business the way it should be done- honest and professional. I will be spreading the word. I recently had 1st Security install a system in my new house and so far have been very pleased with all aspects of the system, from the initial estimate to the installation to the functioning of the system itself. Jeremy did our initial estimate and provided us with a thorough explanation of the system. I already had done a significant amount of research comparing Alarm.com to ADT and some of the self-install options, but Jeremy was able to provide even more information and help me to understand better the pros and cons of each approach. Larry did our installation and also was very friendly and knowledgeable, explaining each step of the installation process and providing me with a tutorial at the end. My wife and I have had no issues with the system so far. It is very intuitive, and we have been able to customize it to fit our unique needs. I highly recommend considering 1st Security for anyone looking at installing, switching, or upgrading their security system. Honest group of people. Never once pressured me to buy anything I did not need. High tech system but very user friendly. So glad I found these guys. Jeremy was punctual and professional. The appointment was easy to make with fast scheduling. I received an in-depth presentation and walk through of my home. He was very responsive to my questions and family’s needs. There was no pressure to buy or add equipment I did not want or need. My new system was installed two days later. Larry the technical adviser was amazing. He was knowledgeable and friendly. He installed my system with no problems. He took the time to give us a lesson on how to use the app and new system. A few days later I had a question and he responded right away. I loved the system so much, that I referred my mother. Her system was installed a week later. I feel so protected knowing my family is safe using 1st Security Alarm company. I have the confidence of knowing that I can upgrade my system at any time. I can not thank Jeremy and Larry enough. Wish I would of known about this company years ago! Very pleased and super responsive. I normally don’t do reviews but I feel the service was excellent so it was needed. After searching and meeting with 3 different security companies and 1st security was the best. The customer service, pricing and demo of the product exceeded my expectations and would differently use are referred them to others. Larry at 1st security is awesome! Being a first time homeowner, I was really anxious about securing my home. Larry eased the worry by throughly explaining everything he installed and how to use it. A week later my HVAC stopped working. I called Larry to make sure it wasn’t the new thermostat he installed. He answered my call even on a Sunday and came out to check. The problem didn’t have anything to do with the thermostat so I called a technician. Larry called a few days later to follow up. I’ve never had this level of customer service with a product. I’m grateful and would recommend them to everyone! From initial presentation to the after sales service, I have been very impressed with the fabulous service and attention from the team. They did an awesome job of making me feel secure in my new home. The pricing was the most competitive as well. I am so excited by having a smart house tailored to my needs at a reasonable cost. It also is great to support a leader in the field but also a local MD business. Have worked with Jeremy and Larry at 1st Security for a few months now and they’re great. They’re far more responsive than any other alarm company I’ve worked with and they’re focused on meeting your needs, versus endlessly trying to get you to buy more services and sensors that you might not need. In the house I just bought some other alarm company had installed a window open/close sensor on a window that doesn’t open – probably fooling the prior senior citizen owners to pay more for more equipment they didn’t need. I rest assured that 1st Security would never do something so foolish and greedy. They’re good, honest people, and this is something that’s unfortunately hard to find in the alarm business. I recommend them. Amazing system! Did a lot of research on alarm systems….so glad I went with 1st security! They came to my house and explained everything to me, were not pushy at all. Came and installed the system a few days later….took the time to explain everything to me and did an amazing job with the installation. And the price is excellent, both the installation fee and the month to month. So happy with my decision. They are fantastic! Quick, professional, fair. The system is state of the art but cost less than other companies. We love our system and feel totally secure. Jeremy and Larry are awesome! Friendly, knowledgeable, helpful. They didn’t try to sell us things we couldn’t afford, and worked to fit the system into our budget. Awesome system and awesome service! These guys are a breath of fresh air. I called many, many security companies, these guys are not the cheapest (nor would I want that in a security company) but they were the most straight forward and easy to work with. They will advise you on how to keep your family safe, not just giving you a keypad and a motion sensor. They are the best value in my opinion, and they have great customer service. Jeremy came out to my house to explain 1st Security’s system (co-branded system with alarm.com), and gave me an amazingly good deal with the best pricing possible. The thing that amazed me was that 1st Security’s pricing (both upfront equipment cost and the monthly monitoring charge, with full access to smart phone system) was LESS than the do-it-yourself options like FrontPoint. Yes–it was less than FrontPoint, even though 1st Security’s pricing includes FULL installation by a professional (Larry, who was amazing–spent hours at my house making sure everything was right and teaching my husband and me how to use the system). Even more amazingly, 1st Security’s monthly rate (again, less than FrontPoint) includes service, meaning that there is NO house-call charge, the way there was with my previous alarm company. If anything breaks, etc., they will come out and fix/replace it! Jeremy and Larry were both awesome–helpful, courteous, professional, prompt, etc. I highly HIGHLY recommend them and 1st Security. If you’re thinking of going with a DIY alarm company to save money, don’t bother–call 1st Security. They will also match other companies’ prices! Love my new alarm system. I feel like I am in complete control of my family’s safety. Being a busy working mom, it reminds me when I forget to set it. It is also set up to make my life easy while still protecting me and my family. Thanks 1st Security. Recently had a system installed in my home with several automation products and cameras. Installer was fast and detailed and all the products work amazing. Price was the best I found and all info was upfront and detailed. I would recommend them to everyone. I recently had a system installed in my condo. I did a lot of research in order to decide which company to go with since my ADT contract was up. I think initially what I liked about this company was the touch screen keypad (scrolls pictures while the keypad is idle) that was much better looking than my current system. I also got the door locks so that I only have to use a code to get in. I’m paying less than what I paid with ADT and feel like I’m getting a lot more. I’ve had my system for about a month now and I love it! I recently decided to add video cameras to my existing home security system. My monitoring vendor provided me with an expensive and complicated solution to this request so I shopped around for other options. I ultimately selected 1st Security to install Alarm.com’s smart home security system for quite a few reasons. First off, the president of the company, Jeremy, came to my house the same day I requested information about their services and diligently followed up with me on a regular basis as I explored my options. Second, I was concerned migrating systems would be a hassle but it was completely seamless due to the knowledgeable technicians at 1st Security. And third, the cost was better than the competition. To top it off, the system is super easy to use, the migration was seamless and installation was top notch… very clean. The 1st Security technicians, Larry and Chris, were prompt, efficient, informative and professional. Great team! Jeremy with 1st Security USA was our sales contact and he made switching from our old security system to a new and better one a breeze! We can’t recommend their level of customer service enough. Great products, great warranty, great company.